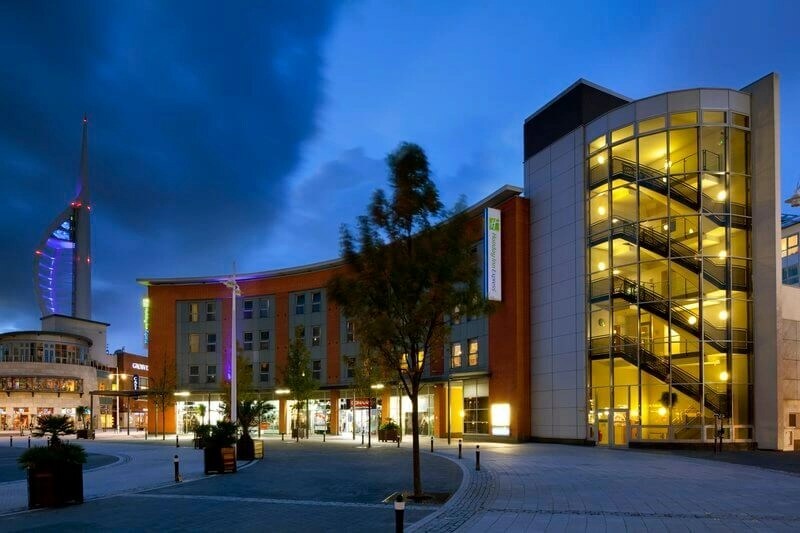 The Portsmouth Marriott Hotel provides easy access to major train and motorway routes, and is only a short distance from popular sites such as the Mary Rose Museum, Spinnaker Tower, and Gunwharf Quays. Our hotel rooms boast helpful amenities like high-speed Internet, plush bedding, and blackout curtains. Sample delicious local cuisine at our on-site restaurant, Sealevel, or order 24-hour room service. The all-new Holiday Inn Express Portsmouth – North hotel is located in Farlington, just five miles from the city centre, metres from the A27 and minutes from the Ferry Port and will open in January 2016! This booking is only available via our website. DO NOT CONTACT THE HOTEL. Please use the form below.